It was meant to be a compliment, but Review's opening gambit to Chrissie Hynde gets her riled up. A few days before our interview, she appeared on stage in London with Canadian band Arcade Fire and the performance has been posted by many fans on YouTube. It makes for compelling viewing and I tell her that. But the Pretenders founder is none too pleased. "Well, that gives me an anxiety attack because it means people on their phones filming," she says, crossly. "It not only irks me but it's the greatest thing that's made me think I'm just going to walk away from this and not do it any more." There's no chance, yet, to change the subject. "It's a constant battle," she adds. "If you go to see a theatre performance, you don't pull your phone out - and if you go to the cinema, people don't get their phones out, but during a show. And, yet, when I'm on stage and I look out into the audience, I see people on their phones. They're either texting or talking to someone or their showing their phones to the person standing next to them. And all of that creates a barrier between you and the audience. "But what you do notice is that when people stay away from their phones and stop recording everything, the gigs are so much better. There's much more engagement." She chuckles, and apologies for the rant. "I feel like I'm a dying breed." Since she first emerged at the end of the 1970s as the no-nonsense frontwoman of the Pretenders, the Ohio native hasn't softened one bit, and nobody would want her too. Unlike so many of her peers, she speaks her mind - and she doesn't care who she offends. She finds big-name bands like U2 - although she doesn't name Bono and friends - to be particularly dull. "When bands started going into stadiums, I think it was the beginning of the end for bands," she says. "And the bands that wanted to go into stadiums and to be that big, well their egos sort of f***ed it up for everybody else. "Frankly, rock 'n' roll is not for everyone, but these days it feels as though it's not for anyone. For me, there are a few things that rock 'n' roll has to be. First of all, it has to be subversive or it's not rock 'n' roll. It has to be irreverent or it's not rock 'n' roll. It has to be funny or its not rock 'n' roll. It has to make you dance or it's not rock 'n' roll. And it's not for everyone. It shouldn't be mainstream. It's for outsiders. It's not easy listening." 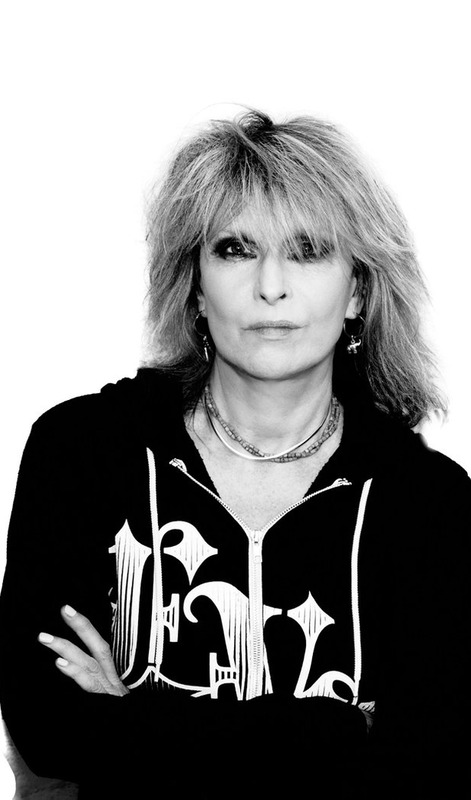 The Pretenders will tour America this summer and she notes that, like many bands of more than four decades standing, their audience is multigenerational. "You know what? I'm not trying to attract a new audience. I don't give a f***. I'm just doing what I like to do. And I know that when we do a show - because we still have it - that half of the audience are going to walk out and go, 'Well that's the best f***ing band I've ever seen'." She likes to keep things simple when it comes to the Pretenders in 2018. "We don't rely on any spectacle outside of the band (no pyrotechnics). We don't even have a wardrobe person. It's very bare boned. We go out and do what we do and then we leave." Hynde will be in Dublin this weekend for the inaugural Vinyl festival. It's a three-day event that celebrates the album as a work of art as well as vinyl itself as the perfect format. "The so-called industry never really encouraged vinyl to come back," she says. "It was individuals who encouraged it because it sounds better and because CDs aren't all that special. I mean, they were supposed to be indestructible, but we've all been there when they skipped, right? "It's that old cliché - if it ain't broke, don't fix it. The vinyl thing was working. There was the artwork, which was such a big part of its appeal. Anyone who was a fan during the 60s, when I grew up, remembered every inch of the artwork, you studied it and read the notes… there was a side one and side two and that was really cool. "You only had about 11 tracks on vinyl before the sound got compromised, but 11 tracks is a good amount to listen to. If you name any Beatles track, I can tell you what song came before and after it." And yet, despite admitting that "technology really left me in the dust", she says she doesn't like to wallow in nostalgia. "Yeah, I don't know if it's good to go back. I like change and I like moving forward, but I don't like to destroy good things just for the sake of change." Hynde says she's passionate about animal welfare. A vegan of long-standing, she has had a relationship with the sometimes contentious animal rights body, PETA, for the past 30 years and has just played an intimate Pretenders show at the newly reopened Subterranean Club in London. "I see that show as a party for the people who work with PETA," she says. "They do such good work." Hynde believes intensive dairy farming should be stopped. "I hate the idea of calves being removed from the mother," she says. "Over the years, farming has become more and more industrialised and people don't seem to care. Well, not enough seem to know what's going on and they might think differently if they knew the reality. I like the idea of small-time farming, like it was done years ago." Chrissie Hynde is 66 now and she says she wanted to "do something creative" from the age of 12. She was good at painting in school and thought she might become a full-time artist, until music took over. Later this year she releases a book of her paintings. She's been painting furiously for the past couple of years and has completed 200 works. "It's a coffee table book," she says, "the kind of thing that people buy their husbands for their 50th birthdays. I like cheap stuff - magazines, that comic book mentality, you know? Give me paperbacks, things you can roll up and put in your pocket. I'm reading [Edith Wharton's] The House of Mirth at the moment. But the people that are putting the art book together… I like them. They're photographing the paintings and doing all the work and I don't have to think about it." She grew up listening to music but hearing David Bowie in the early 70s changed everything. "It was the Hunky Dory album  and it made me realise that music was something I absolutely had to do. And then I saw Bowie the following year… I was expecting Veronica Lake [as Bowie had sported long hair and dresses around the time of Hunky Dory] but here he was as Ziggy Stardust and it was incredible." She pauses for a moment. "It's a mind-f*** to talk about stuff in the past. I like to keep going forward." I ask her how she felt about holding the first Pretenders album in her hand when it came back from the pressing plant. "I don't remember it," she says, quickly, "and I don't really care. But what I do remember is where I was when I bought the first Jimi Hendrix album. I do remember where I was when I saw the first Janis Joplin album. I remember the first time I was in a discount house and I saw the first Beatles single. Those were the turning points of my life. "But when I had my own band… well I was just glad that I was in a band and I wasn't a waitress. But I never got that joy of 'Wow! We've made it'." Not even when 'Brass in Pocket' topped the singles chart in 1980? "No, it was always about moving forward and not thinking about the past."